Discuss your team here… featuring top 100 players from the Drawing Board. Chad, the man behind DT Live, has updated the Drawing Board for the 2018 season. 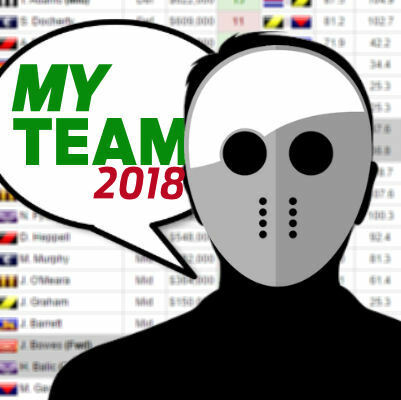 Head over to the siteand select ‘Drawing Board’ from the drop down menu and you can start picking your AFL Fantasy Classic squads for the upcoming season. The 100 most popular players selected in the Drawing Board for AFL Fantasy Classic. As at 5 January. What are thought of what the following will average? Cheers. For me Rockliff and Robinson. Would love some feedback on this team. A lot of uniqueness and several big names not there, but I think this is a strong team all round. Could someone explain draft to me please, what’s the deal with it? Thank you. No idea about Rookies.. Thoughts?